﻿ Dusit Thani Krabi Beach Resort (Thailand) | FROM $115 - SAVE ON AGODA! "This is the perfect vacation." "Spa at Dusit Thani Krabi is really good." "Staff is very polite and patient and give good recommendations on the spa services." 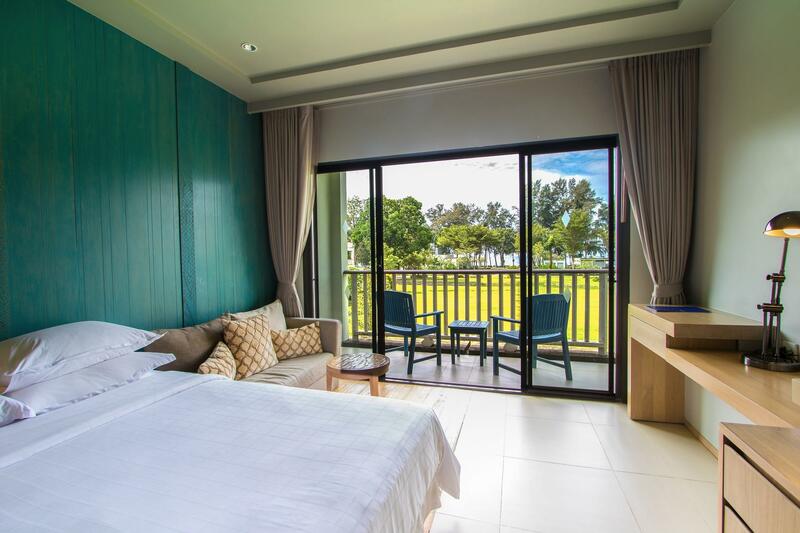 "Good property with a nice beach, numerous facilities as well..."
Ideal for fun and relaxation, Dusit Thani Krabi Beach Resort is located in the Klong Muang area of Krabi. The hotel lies 5 km from the city center and provides accessibility to important town facilities. With its convenient location, the hotel offers easy access to the city's must-see destinations. Simply put, all the services and amenities you have come to expect from Dusit Hotels and Resorts are right in the comfort of your own home. The hotel offers access to a vast array of services, including 24-hour room service, free Wi-Fi in all rooms, 24-hour security, daily housekeeping, wheelchair accessible. The hotel features 240 beautifully appointed guest rooms, many of which include television LCD/plasma screen, carpeting, separate living room, internet access – wireless (complimentary), non smoking rooms. The hotel offers an excellent variety of recreational facilities, including canoe, snorkeling, private beach, fitness center, outdoor pool. 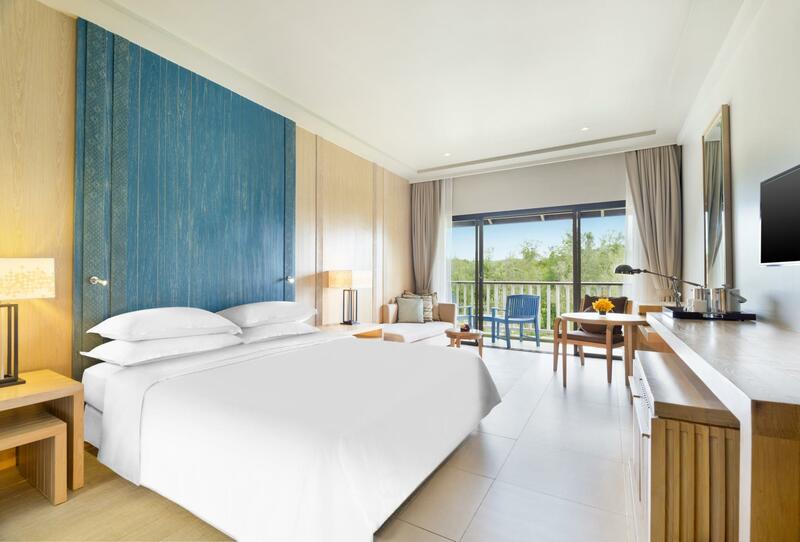 Dusit Thani Krabi Beach Resort is a smart choice for travelers to Krabi, offering a relaxed and hassle-free stay every time. A fee for a mandatory New Year's Eve Gala dinner for 2 is included in the total price displayed for stays on 31 December. 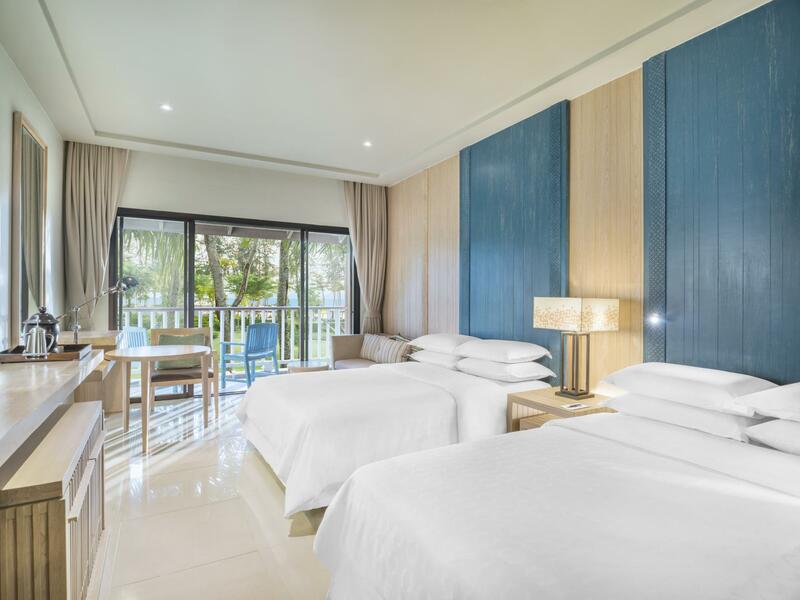 For rooms with more than 2 guests, additional Gala dinner charges will apply, regardless of guests age, to be charged in addition at the resort. Extra bed is available at an additional charge. 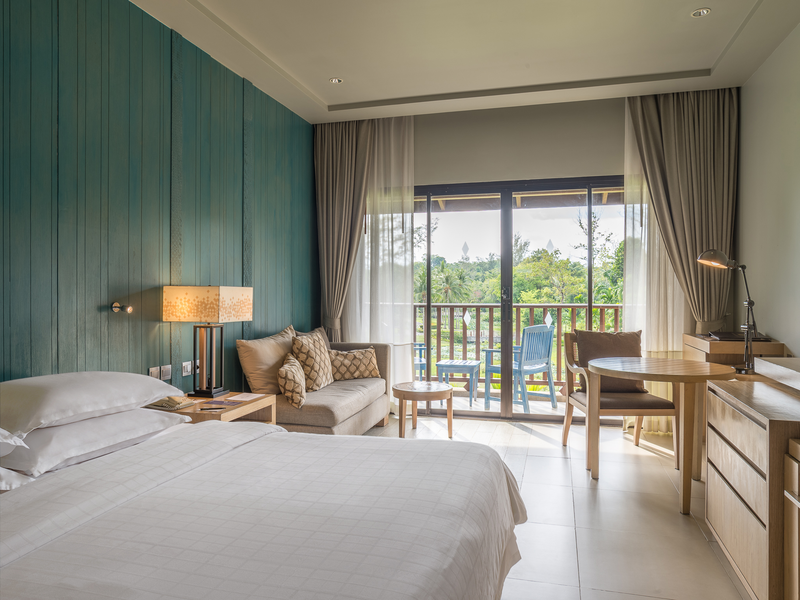 Children 6-11 years old will be charged THB 383 for breakfast when using existing bedding. We chose this because it is the only few big chain family resort. We were travelling with a young kid so will need one with kid's club. The pool suite was great except it has only a garden view. All the rooms are set quite far from the beach so even 1 with sea view will not be much view. The stretch of beach was lovely to stroll in the evening and sunsets were gorgeous. Sand was soft with lots of corals and seashells. I felt that the club service was not neccessary. Big minus point for me was that the breakfast in club lounge was so basic and disappointing. Even the selection of evening snacks was lack lustre. Breakfast in the general area was fantastic though. Massage was good and the vendor that hotel ties up with for island trip was quite good. The property is huge and has great facilities. We took the club option which included all day drinks and snacks and we felt was value for money. 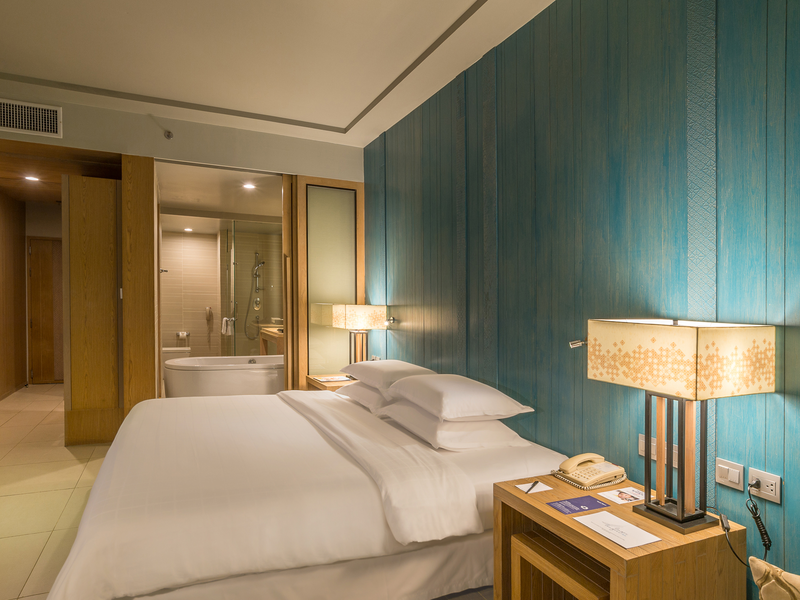 We had come from Amari Vogue which we felt was too small and remote, and the room we had there was right next to a construction site so Dusit Thani was great to come to for a relaxing holiday. Dear Lisa, Thank you for your feedback and your visit at Dusit Thani Krabi Beach Resort. We happy to read that your recent stay with us a good trips and you had enjoy your stay. This kinds of review always boost us up to do the extra miles to making our guest got the best experience with us. We are all looking forward for your next visit Thank you again and kind regards, Ms Natthakun Sudjan Guest Relation Team Dusit Thani Krabi Beach Resort – the ultimate beach escape in Krabi! 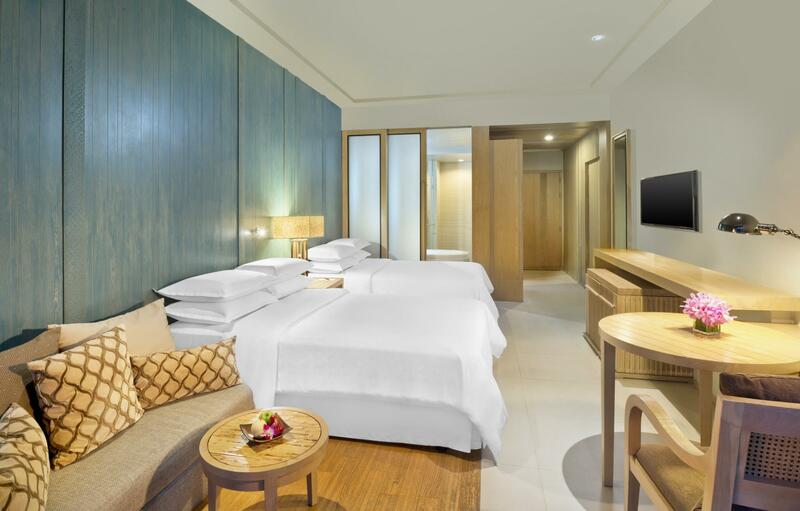 Dusit Thani is located away from the city centre and away from the shopping district. It is the ultimate place to head to if you are looking for a place to chill out by the pool, without massive hoards of tourists moving in and out nosily. Perfect location with kids, as they had ample space to run, swim and roam around. Food selection outside the hotel is rather limited - but it is still cheap and good. Would certainly go back again with the family and kids. Dear Kenneth, Thank you for taking the time to post your excellent review. We are all looking forward to welcoming you back again and hope your next visit will be just around the corner. Thank you again and kind regards, Ms Sunisa Wongwean Guest Relation Team Dusit Thani Krabi Beach Resort – the ultimate beach escape in Krabi! Great stay hope to return one day. Breakfast wonderful, room wonderful, club lounge wonderful. Perfect! Suggest moving the smoking chairs from outside the restaurant, getting rid of the ridiculous and unevenly enforced no-inflatatable rule at the pool, buying some new basketballs. Dear Martin, Thank you for giving us a perfect rating. I am so glad to hear that you enjoyed your stay with us! I hope your next visit is just around the corner Thank you again and kind regards, Ms Sunisa Wongwean Guest Relation Team Dusit Thani Krabi Beach Resort – the ultimate beach escape in Krabi! I stay in a lot of hotels and all I can say is that the Dusit Thani Krabi Beach impressed me. In terms of structure, is a classic 5-star hotel with impeccable service. 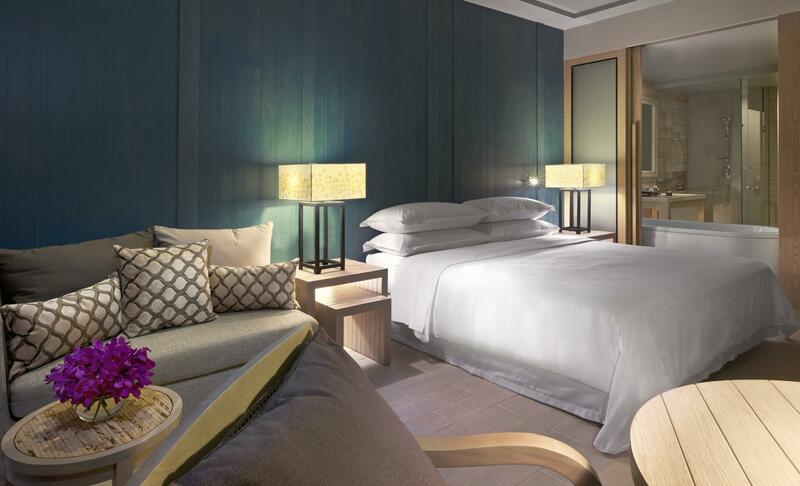 Their Dusit Gold program is interesting as it gives you discounts over the property and you don't have to wait until you reach a certain amount of nights like with other hotel chains to start enjoying real benefits. Staff is extremely friendly, all is well maintained. I am now off to another Dusit Thani now hoping that this is not a feature of this property but of the brand! If you are looking for relaxation and to be away from the crowds, I definitely recommend. Kid-friendly and adult friendly. Spa at Dusit Thani Krabi is really good. There had promotional good deal. Staff is very polite and patient and give good recommendations on the spa services. The room facing the ocean view is excellent. I had what I wanted: a superbly quiet room with comfortable bed. It is the most relaxing vacation I have spent so far on my birthday holiday at the lovely Dusit Thani Resort in Krabi. Although you need to pay for most of the activities in the resort, but beach, pool and gym can be used for free! For location wise, there are a few eateries around and two to three convenience stores nearby (7-11 is the closest to the resort). It's not a so hapenning place like ao-nang but the resort will have a theme for its event every day. You may pay for a fee ranging from 599baht to 899 baht (if im not mistaken). Good property with a nice beach, numerous facilities as well as highly efficient and friendly staff. 3 onsite restaurants and a number of local choices immediately outside of the hotel. Highly recommended. Dear Lachlan, Thank you for your generous feedback regarding your stay at Dusit Thani Krabi Beach Resort. I am delighted to know that you and your family had a really great time with us and very happy to hear that our team made you got an amazing holiday. I have taken not of your positive comment and will certainly share them to our associate meeting especially the person who was created pancake at the breakfast. Once again. thank you for selecting us as your choice in Krabi and we are very much looking forward to have the pleasure of welcoming you to our resort again soon. Best regards, Ms Sunisa Wongwean, Guest Relation Team Dusit Thani Krabi Beach Resort – the ultimate beach escape in Krabi! Dear Somitra, Thank you very much for taking the time to review our resort. I am happy to read that you found our beautiful location which direct access to the beach and the boat. However we are sorry to hear some several things did not meet your expectation. We really hope that you will return to us in shortly Best regards, Ms Sunisa Wongwean, Guest Relation Team Dusit Thani Krabi Beach Resort – the ultimate beach escape in Krabi! Dear Khun Sutthiphong, Thank you very much for your positive review of our hotel and staff. There is nothing more encouraging than knowing that you had a wonderful time with us and will be return to us again. We looking forward to welcome you back in the near future Thank you again and kind regards, Ms Sunisa Wongwean, Guest Relation Team Dusit Thani Krabi Beach Resort – the ultimate beach escape in Krabi! Large hotel with selection of facilities. We stayed in the club suite which has a clean modern design and a very grand bathroom! The jacuzzi tub in our room was incredibly big! Very friendly staffs and excellence ambiance. However, the breakfast buffet could be more improved. Dear Khun Nattakarn, Thank you very much for sharing your excellent experience here. I'm delighted to read that you had a great time with us at Dusit Thani Krabi Beach Resort. However, I do apologies for our breakfast did not meet your expectation. I will ensure to share to our Food and Beverage Manager to acknowledged to further improve our resort. Once again, Thank you for your visit and your comment we hope fully to welcome you back to our resort in the near future. Best regards, Ms Sunisa Wongwean, Guest Relation Team Dusit Thani Krabi Beach Resort – the ultimate beach escape in Krabi! Quiet and secluded beach. Friendly staff. Restaurants were nearby. We always called receptionist for buggy car when we headed out, and they were always fast to pick us up. Booked several tours with the hotel too. Glad we stayed here for our first time in Krabi. Dear Jesisca, Thank you very much for your review! We are thrilled to read that you had an excellent stay with us! Thank you for recognising our bellboys who drive the buggies around the hotel. We hope to welcome you back in the future! Thank you for the visit! warm regards, David Caille Guest Relation Team Dusit Thani Krabi Beach Resort – the ultimate beach escape in Krabi! This is a very good hotel for families, with young or older children. It caters for most people, and we did see people of all nationality and from age groups. However, this is NOT a hotel that caters to people who want a more bespoke holiday or one with more personalised attention. I really enjoyed the bed and room. The resort is big and full of plants and flowers. Breakfast has a pancake station where they will make you any shape you like. The selection is quite Asian. We paid for club which meant we could take breakfast there and the selection had more European items. Club was worth it and you got drinks and snacks in the day. Staff were very helpful and friendly. we self drive from the airport to the resort, the journey took 40 minutes. Was a easy drive to Krabi as the traffic was very relaxed and smooth. The staffs were awesome, very friendly, helpful and warm hearted. They made you felt really welcome and relaxed. Definitely happy to stay here again for their great service ! Rooms were spacious, cosy and clean. It's very well maintained and not worn out despite this is not a new resort. Breakfast at the restaurant was awesome, food was delicious, the variety was great, we stayed for 4 nights but the breakfast didnt bored us, many varieties.. There is also a interesting pancake session where the chef would customised the pancake into a drawing.. Overall was a great stay! would definitely be back again! It is by far one of the best resorts I have been to. It is a must for those who wish to stay next to an amazing clean beach with access to hotel facilities. Truth be told, it is a complete package, once you enter the resort, you don't have to go anywhere. It's all in one.